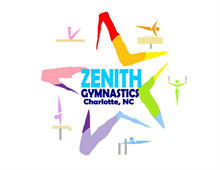 Thank you for registering with Zenith Gymnastics. Please be sure to fill out all required fields. If you are a returning student, please click the link above to log in. If you have issues, please contact us to get your account information. Please note that the registration process is not considered complete until you have paid the registration fee. If the fee is not paid at the time of registration, your child will be dropped from the class and will lose their spot. Classes fill on a first come first serve basis. In consideration of participating in the Zenith Gymnastics Competition Team, classes or special events, I represent that I understand the nature of this activity and that I am qualified, in good health, and in proper physical condition to participate in such activity, I acknowledge that if I believe event conditions are unsafe, I will immediately discontinue participation in the activity. I fully understand that this activity involves risks of serious bodily injury, including permanent disability, paralysis and death, which may be caused by own actions, or inactions, those of others participating in the event, the conditions in which the event takes place, or the event takes place, or the negligence of the participant name below; and that there may be other risks either not known to me or not readily foreseeable at this time; and I fully accept and assume all such risks and all responsibility for losses, cost, and damages I incur as a result of my participation in the activity. I hereby, release, discharge, and covenant not to sue Zenith Gymnastics, LLC. its affiliates, its respective administrators, directors, agents, offices, volunteers, and employees, other participants, any sponsors, advertisers, and, if applicable, owners and leasers' of premises on which the activity takes place, (each considered one of the "releasers" herein) from all liability, claims, demands, losses, or damages, on my account caused or alleged to be caused in whole or in part by the negligence of the "releases' or otherwise, including negligent rescue operation and future agree that if, despite this release, waiver of liability, and assumption of risk I, or anyone on my behalf, makes a claim against any of the Releasers, I will indemnify, save, and hold harmless each of the Releasers from any loss, liability, damage, or cost, which any may incur as the result of such claim. If claim is filed I understand it must be filed in the county the incident occurred. I, THE MINOR'S PARENT AND/OR LEGAL GUARDIAN, understand the nature of the above referenced activities and the Minor's experience and capabilities and believe the minor to be qualified to participate in such activity. I have read the RELEASE AND WAIVER OF LIABILITY, ASSUMPTION OF RISK, AND INDEMNITY AGREEMENT, understand that I have given up substantial rights by signing it and have signed it freely and without any inducement or assurance of any nature and intend it to be a complete and unconditional release of all liability to the greatest extent allowed by law and agree that if any portion of this agreement is held to be invalid the balance, notwithstanding, shall continue in full force and effect. I accept the financial responsibility associated with my child's (or mine) participation in the Zenith Gymnastics program. I will provide written notice at least 30 days in advanced to cancel my child's enrollment in any class or programs. I understand that my child may lose their spot in the program if payment is not made in a timely matter (by the 15th of each month). I understand and agree I am responsible for all medical expenses that may result from my child's participation is classes, team, or events at Zenith Gymnastics.